Since Neil Armstrong took his first step on the moon, the world has been obsessed with space travel. Every year we discover new things about our universe and the planets beyond. But who makes these discoveries possible? Many of them are thanks to the astronauts who work on the International Space Station. What Do the Astronauts Do There? Astronauts live in the ISS in groups of six, and the missions are called “expeditions.” The current expedition is number 42 and began in November 2014. While there, the astronauts conduct experiments that help expand our knowledge of space travel and what living there is like. Recently, they conducted experiments on dark matter and using a joystick to guide planetary rovers. Learn more about what goes on inside this amazing feat of engineering in the slideshow below. 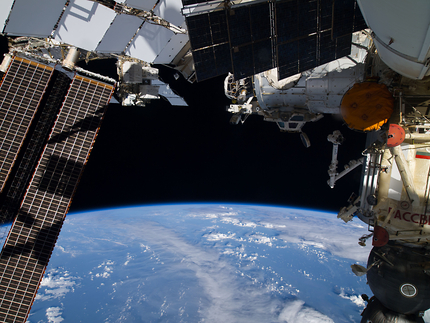 Since 2000, there have been several hardware additions to the ISS, including the Japanese Aerospace Exploration Agency's Kibo robotic arm. The arm can lift up to 200,000 pounds! Currently, astronauts typically stay on the station in five month rotations. 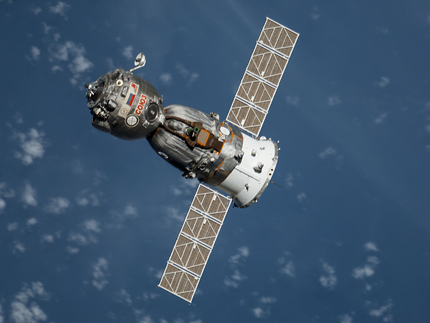 This photo shows the Soyuz TMA-12M spacecraft departing the ISS and taking three astronauts back home to Earth. 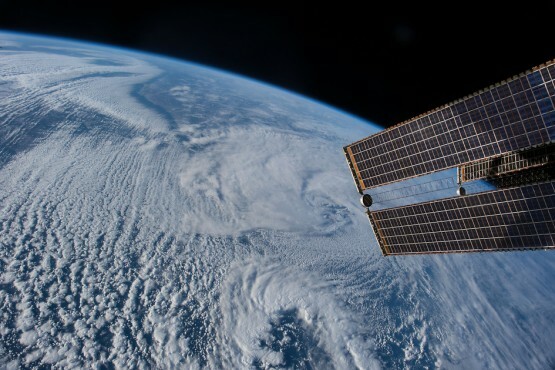 Part of the ISS's research includes photographing the Earth to document the planet's changes over time. 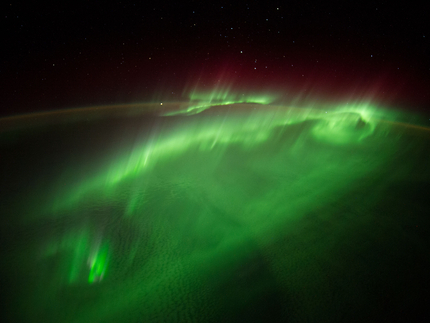 In this photo the station was flying through an Aurora Borealis. 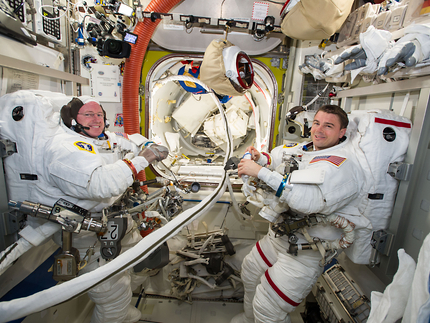 Flight engineers Reid Wiseman and Barry Wilmore suit up for a spacewalk, where they will remove and replace a power regulator located on the outside of the station. 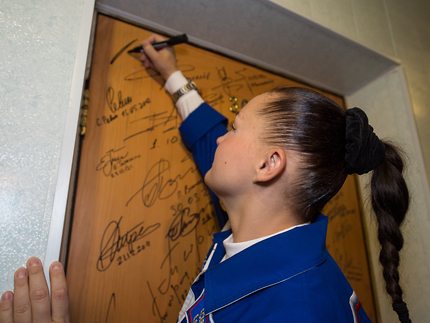 The ISS crewmembers have a tradition of signing a door in the Cosmonaut Hotel before they take off for the station. Even astronauts get a day off! 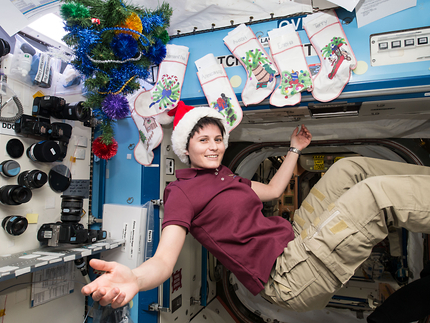 On Christmas the astronauts aboard the ISS take a break from maintenance and research to enjoy the holiday. 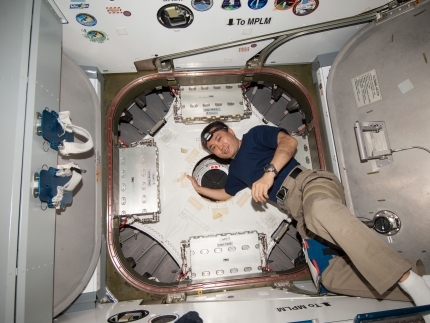 Astronaut Koichi Wakata prepares to close the hatch to the Cygnus aircraft that delivered nearly one and a half tons of supplies and equipment to the ISS in 2014. Should Cheerleading Be Officially a Sport? I love space and want to be the first one on mars!!!!! Cheerleading at school where you only wave pom palms and yell words should not be considered a sport. Competitive cheer should be a sport. I have been in competitive cheer for 8 years, since I was in Kindergarden, and have worked hard to get where I am. I have had to have surgery because of cheer and I know many others have too. Doing stunts and flips is a lot of work while dangerous. One of the most dangerous. A lot of people put a ton of hard work into it and also risk great injury. I will probably have arthritis by the time I am 28 mostly because of cheer. It should be a sport!